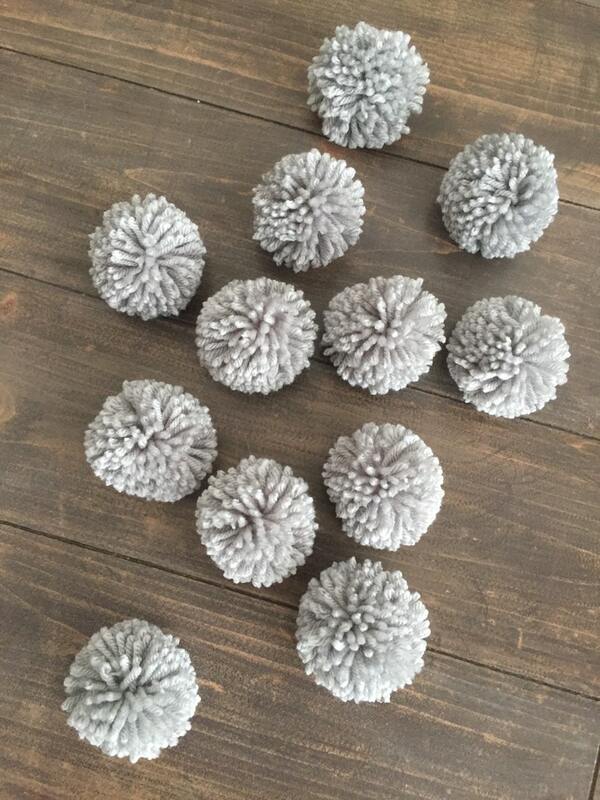 -♥- These Light Grey pom poms are waiting to be used for your next craft project. Perfect for wreaths, garlands, banners, party decorations and more. At check out you can choose which size of pom poms you would like ( 3", 2.5" or 1.5") or a variety pack which includes 4 pom poms of each size. As each piece is handmade, every piece is unique and one of a kind. Made in our smoke/pet free home. Thinking about buying this later? Save your item by clicking the "Favorite" button in the top right corner. Perfect for my Easter sign wine and craft class! Thank you! I gladly accept Paypal and Credit card payments through Etsy! No order can be started or shipped without payment in full. If you have ANY questions, please send me a conversation PRIOR to your purchase. I want happy customers!! Please contact me within 10 days of me shipping an item if you are unhappy. I will work with you to make you happy! We ship using USPS and will ship items within 3-5 business days in most cases. Please contact me with any special requests or questions you may have. I carefully pack all my items. Each package I ship has delivery confirmation and tracking. Damage of items due to Post Office neglect, or lost mail I can not be responsible for. Each exchange or reship is on a case to case basis. Insurance is your option. Ask to insure it and I will give you the total.